An Ohio State study finds that some Ohio farmers could lose more than half of their annual income if a threatened 25 percent tariff goes into effect on soybeans and corn sent to China. Ohio State researchers compiled data from six Ohio corn and soybean farms to create a representative Ohio farm that grows corn and soybeans. They estimate that the proposed 25 percent tariff on exports to China would mean a 59 percent loss in annual net income to a typical Ohio farmer. Projections show income would drop from $63,577 to $26,107, under the tariffs. That is based on historical trends in yields on corn and soybeans, and projections for price drops in both commodities. Soybeans are Ohio’s largest crop and the state’s top agricultural export. China threatened the tariffs after President Trump proposed 25 percent tariffs against Chinese exports like washing machines and medical products. 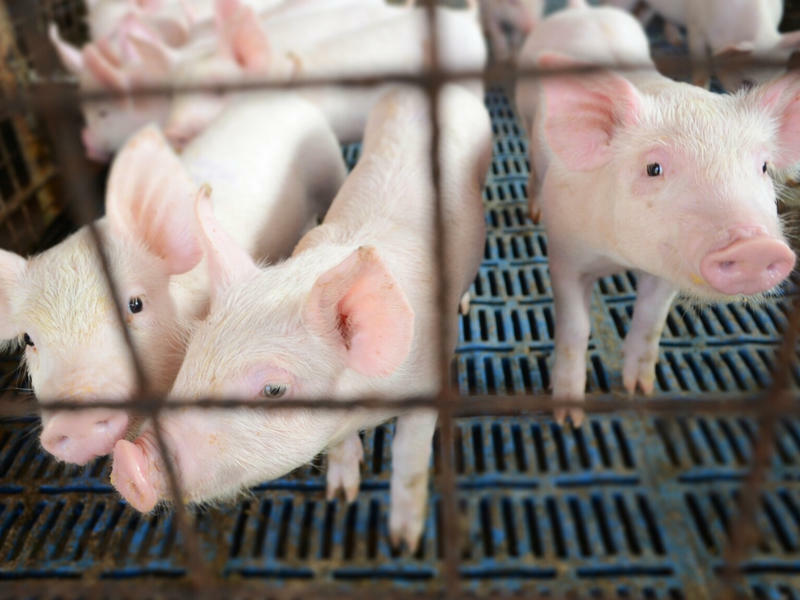 Earlier, China retaliated against tariffs on steel and aluminum with limits on U.S. pork. That move also hit hard at Ohio farmers, who producce $600 million in pork products annually. But soybean tariffs would prove more devastating: They're Ohio's top crop, and China is the state's best buyer. The study predicts that, across Ohio, the loss of soybean exports to China would be an estimated $241 million annually. Every year, Ohio exports about 31 percent of the soybeans and 2 percent of the corn it produces to China. Ohio State says this is the first study on the impact of soybean and corn tariffs on the state. "There are farmers who are struggling across the state," said Ben Brown, manager of Ohio State’s College of Food, Agricultural, and Environmental Sciences, in a press release. "If the proposed tariffs go into effect, we're going to have farmers who will have to exit the industry." The financial losses come from an expected drop in Chinese demand for U.S. soybeans and corn, under the proposed tariff. Treasury Secretary Steve Mnuchin is meeting with Chinese officials this week to discuss trade tariffs. President Trump announced a tariff on Chinese steel and aluminum and the Chinese responded with tariffs on American products. It’s escalated to at least $50 billion dollars in tariffs for each country. The extra charges on Chinese steel may please Ohio steelworkers but it worries Ohio farmers. Tom Trout of Hickory Tree Farm in Medina County walks through his garage by several 8-wheel-drive John Deere tractors and other equipment. After placing a 25 percent tariff on U.S. pork and a 15 percent tariff on other goods like fruit and wine earlier this week, China is now threatening to go further. China is looking to expand its scope to exports essential to Central Ohio’s economy, including soybeans, beef and cars.